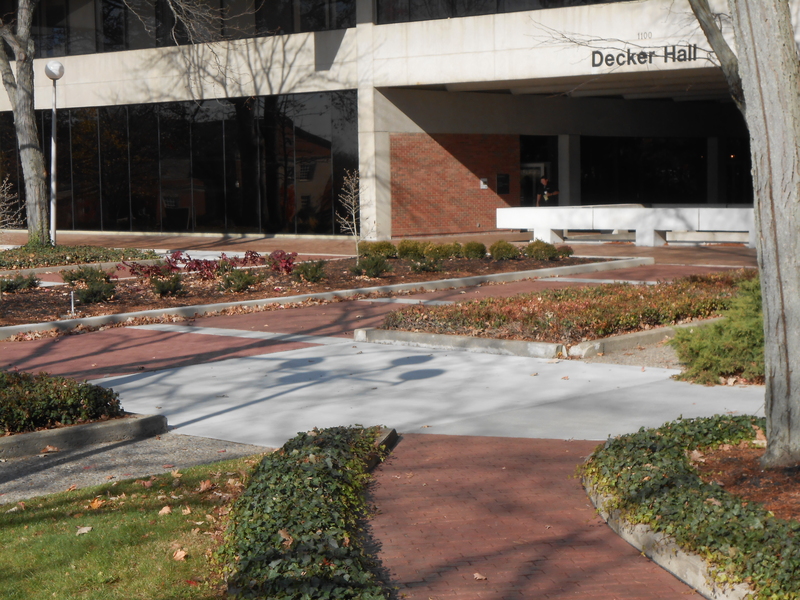 Anderson University Decker Hall Plaza recently underwent renovations for their centennial celebration. Students returning from summer vacation arrived to a newly-paved valley along with many other changes that improved the appearance of the 100 year old campus. KRM Architecture, Inc. worked with the local Bomanite Licensee, Shepherds Construction Co, to help recreate the original paving in a more stable, durable, cost-effective and aesthetic appealing paving material. Bomanite Stamped Concrete Imprint Systems was chosen for its realistic appearance to brick. 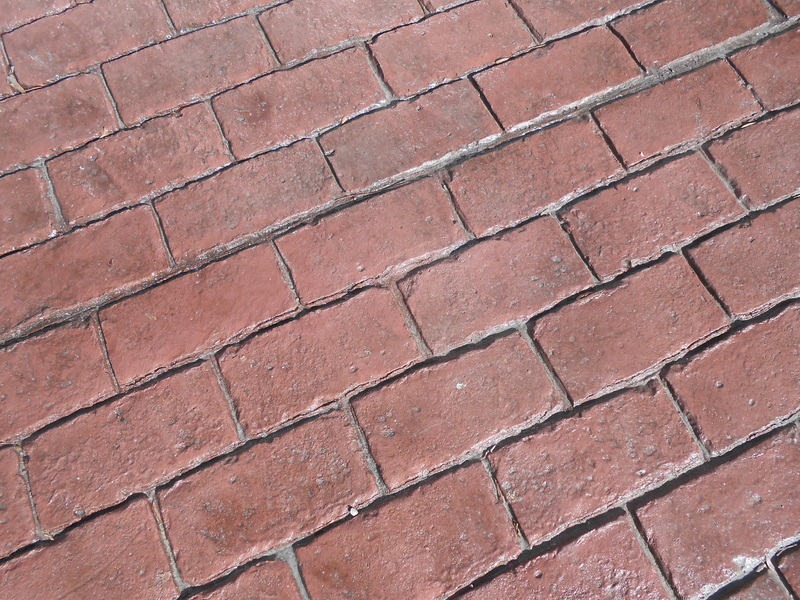 The Bomaron Running Bond Used Brick pattern was colored throughout with an Integral Color and highlighted with a Bomanite Release Agent to show the texture and old worn brick finish. Bomanite Stamped Concrete is highly durable long-lasting for harsh winter environments and stands the test of time for several million footsteps a day, making it ideal for the Anderson University campus. “[President Pistole] speaks to excellence in all things, and our campus needs to strive to reflect that excellence,” said Dean of Students Chris Confer, speaking to the reasoning behind renovations this year. The renovations include replacing uneven bricks on the walkway with concrete that will still appear to be brick, but is a more cost-effective material than brick. The plan to add greenery will also improve the aesthetic appeal of the area. 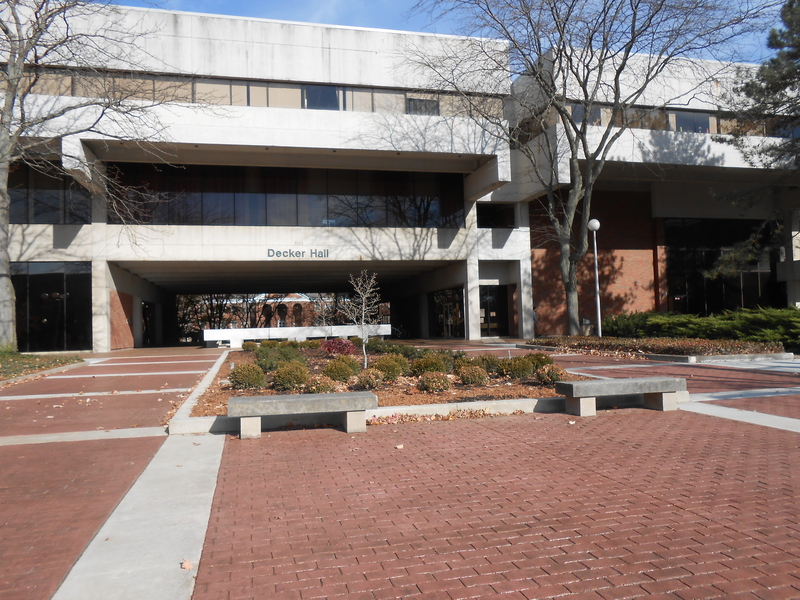 In 1970, Decker Hall was completed, replacing Old Main as the central academic building on campus and consisted of 10,000 square feet of brick pavers installed over concrete sub-base and sand leveler. For the Centennial Celebration the pavers were removed and disposed of with new construction of curb planters, 5,000 square feet of Bomanite stamped concrete and approximately 3,300 square feet of broom finish banding and tributary walkways, giving this project a brand new start to another 100 years.